This exquisite and luxurious contemporary home is a triumph in modern architectural style and function yet with a timeless design. Renowned ARK architects studio in Sotogrande has created a masterpiece that blends elegantly with its natural surroundings and commanding country location. 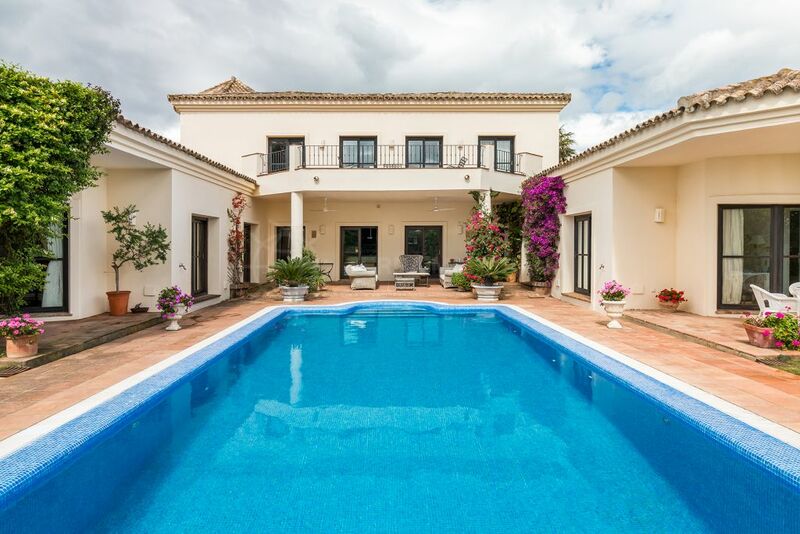 Gracing 2 spacious levels and having 2.814 m2 of living area, this villa is impeccable in every measure. The main floor offers an ample hall and patio, large living room and TV room with enormous floor to ceiling windows, a MOBALCO kitchen with a casual dining area, a family lounge, formal dining room, a master suite with private living room and walk-in closet. This floor also comprises a wellness area with a spa, sauna, gym and indoor pool, a home office and library and a guest apartment. The lower level offers the unequalled gourmet room with a natural wood parquet floor. 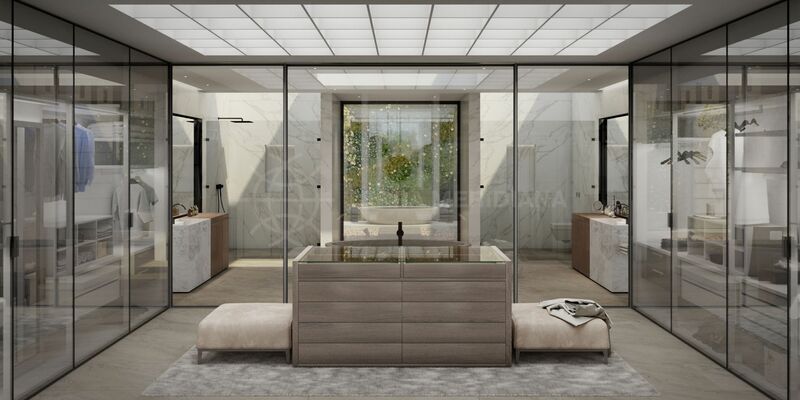 Luxury features include brushed Travertine marble floors, bioethanol fireplace, BBQ and chillout area with outdoor bar, zero edge pool, a paddle court and a state of the art home automation system. 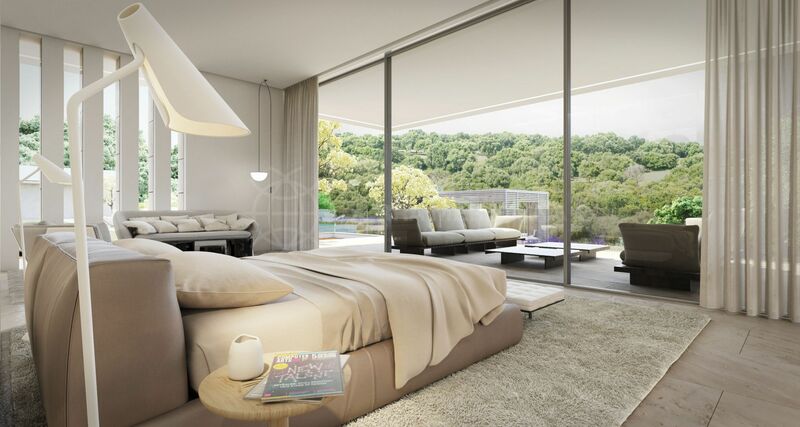 The ultimate in privacy with an elevated site that overlooks endless vistas of the green golf course and countryside. 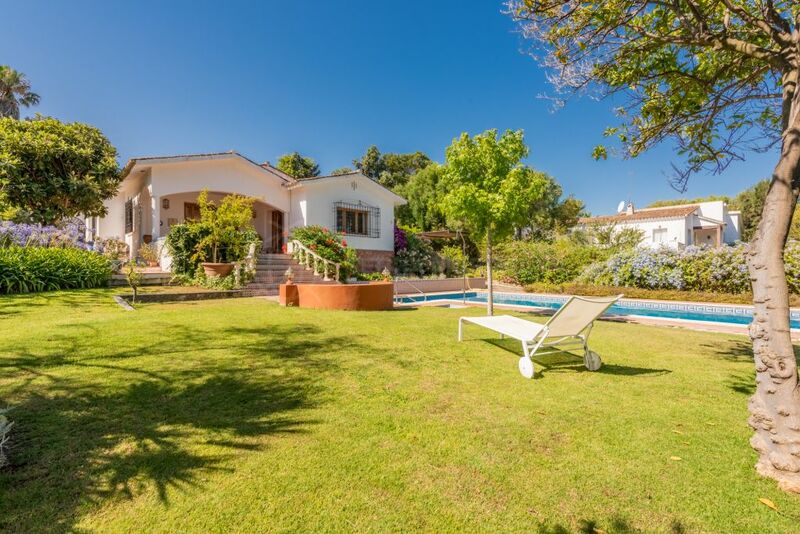 The property is close to the 3 acclaimed golf courses, Real Club de Golf Valderrama, Almenara and San Roque and boasts easy access to the A-7 which runs along the coast to Estepona and Marbella to the east and Gibraltar and Tarifa to the west. "An iconic one-of-a-kind residence with expansive views." Please, send me more information about ref TMNV1309, Villa in Sotogrande or similar properties.